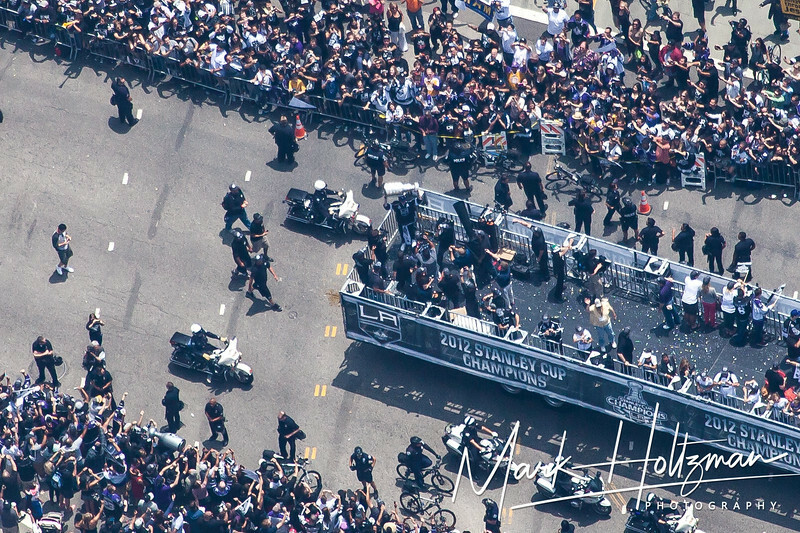 The LA King's win in the Stanley Cup was celebrated with a big parade in Downtown Los Angeles, which ended at the Staples Center. There were a lot of fans out celebrating with the team. 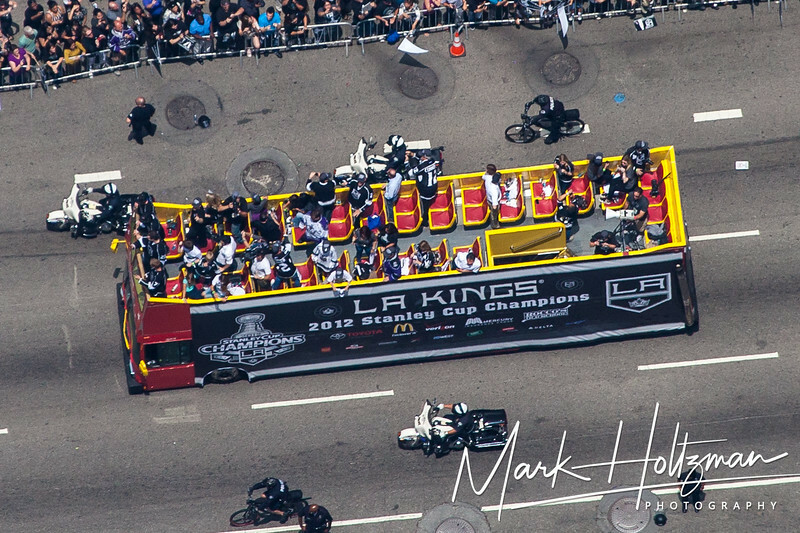 You can see one of the LA Kings holding the Stanley Cup on the semi truck in the second picture.